You don’t have to, but I like to add some vegetables to increase the healthy factor. 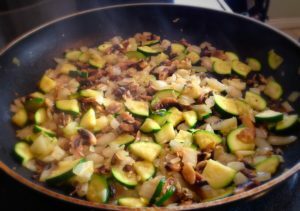 My favorites are zucchini and mushrooms, but I have also used carrots and spinach- whatever I happen to have on hand… except broccoli. Definitely don’t use broccoli. 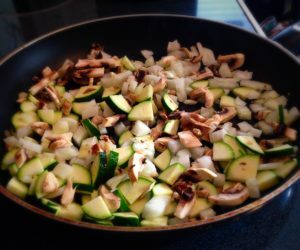 😉 My children, however, do not love zucchini and mushrooms and wouldn’t eat it. 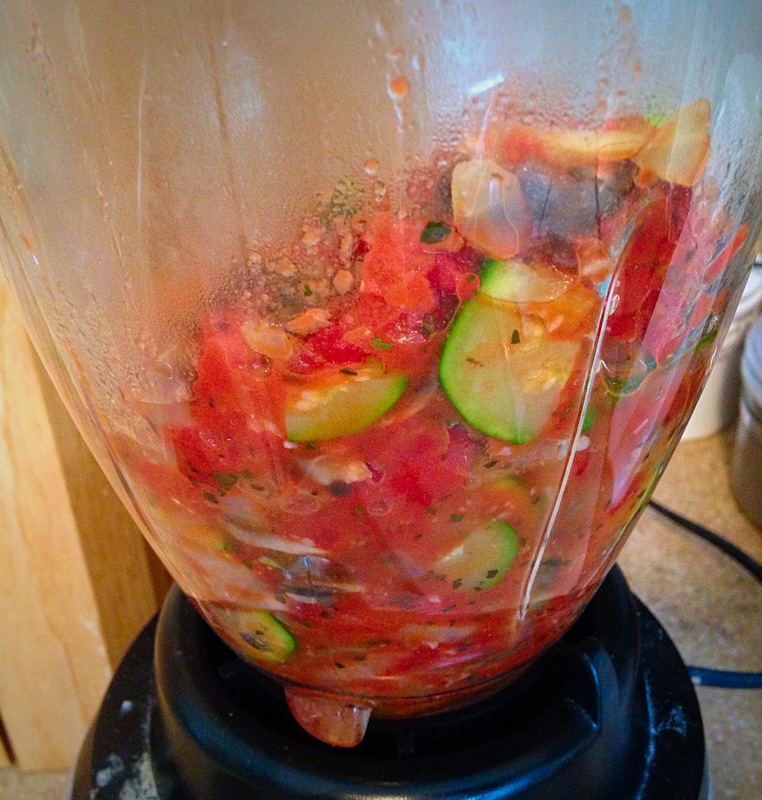 So, I started blending up my sauce to hide the vegetables and it worked! Now they eat it with no problems. 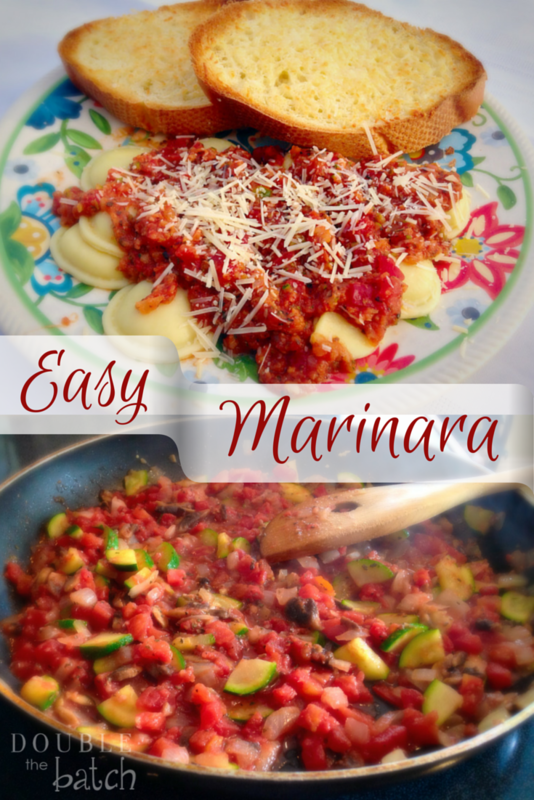 So, here is a great basic, easy, homemade marinara sauce recipe to turn any pasta you have into deliciousness! Dice your zucchini, mushrooms, and onion and mince your garlic. Add your olive oil to a saucepan over medium high heat. Saute' your vegetables in the olive oil until they are tender. Add one can of diced tomatoes, drained, and your basil. Add a sprinkling of garlic salt. 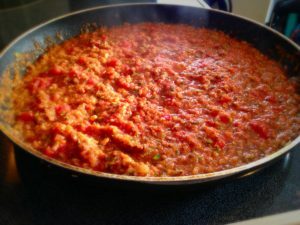 Reduce heat to medium-low and let it simmer for at least 10 minutes. 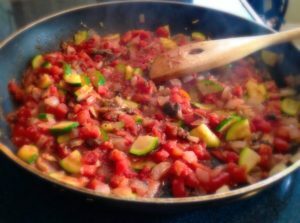 Blend it until you get your desired texture and pour it back in your pan. 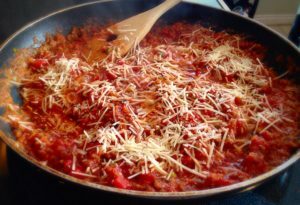 Drain your second can of tomatoes and add it to the sauce. Taste the sauce and adjust the flavor using garlic salt. Sprinkle in some parmesan cheese. Parmesan toast is a great accompaniment for for this dish. 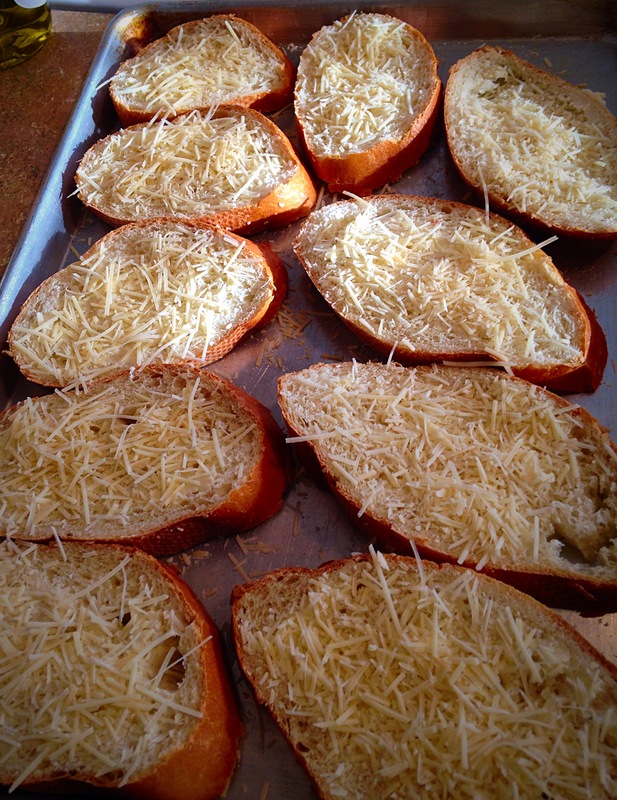 Just slice some french bread, butter it or sprinkle it with olive oil. Then sprinkle on a little garlic salt and parmesan cheese and broil it until the cheese bubbles and it is golden brown. 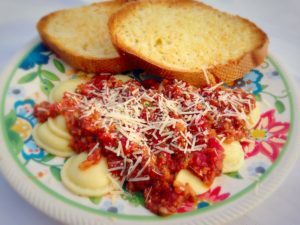 Easy and so tasty!